Unless you took a media cleanse this weekend, you’re bound to have seen a story or two about the Royal Wedding this weekend of Prince Harry and Meghan Markle. But in case you missed all the fabulously beautiful details, we’re here to catch you up on the details you want to know! It was a beautiful Saturday in England as Meghan Markle and Prince Harry said I do at St. George’s Chapel in Windsor. Meghan’s entrance was nothing but iconic and will probably be a moment every bride will try and recreate for years to come. Most fashionistas kept their eyes glued to the TV to see what Meghan Markle would wear, and as she stepped towards the chapel, she didn’t disappoint! Her ceremony gown was nothing short of elegant, and quite simple in the best way. 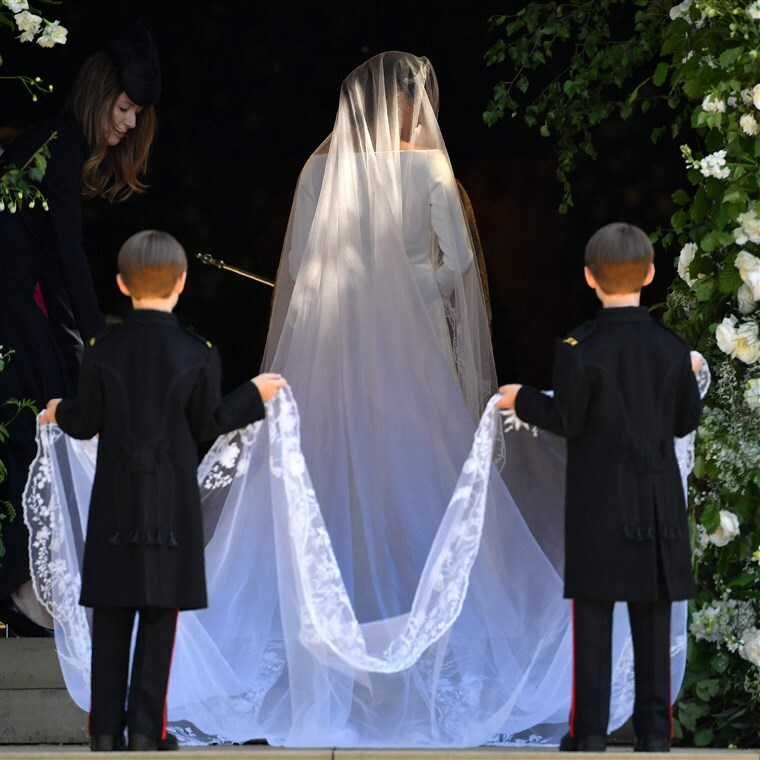 The long sleeved, bateau neck fitted gown and never-ending veil were both designed by Givenchy head Clare Waight Keller. Meghan wore her hair back in a simple chiffon with a dazzling tiara on the top of her head. She opted for very minimal makeup, allowing for her natural beauty to shine through. 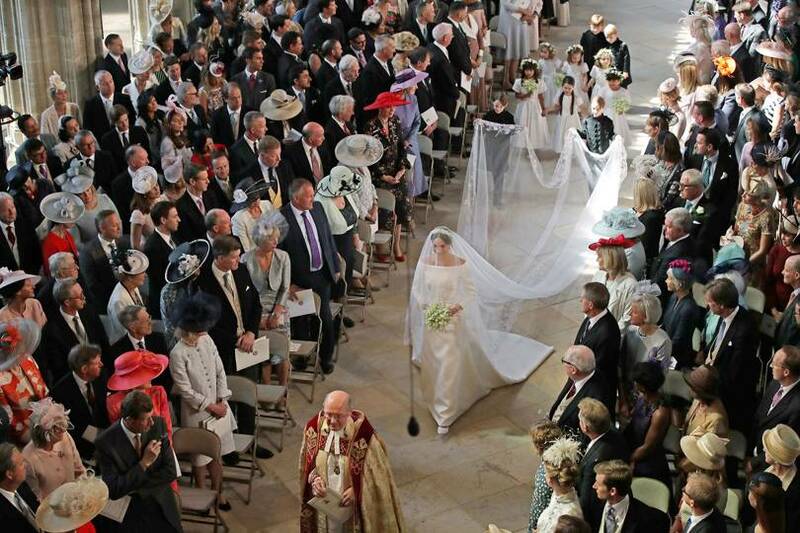 Breaking most wedding traditions, she walked down the aisle by herself with pageboys carrying her veil, until she met Prince Charles who walked her over to Harry. The ceremony was radiating with the love between Meghan and Prince Harry, which was palpable and beautiful to witness. Meghan and Prince Harry are definitely a couple who aren’t afraid to break a royal tradition or two, and that could be seen throughout the day. From staying in hotels the evening before, to opting out of fruit in their cake, and even who was in the wedding party, Meghan and Harry made the day all about them, and their happiness was palpable. We can’t not talk about the bustling guest list, filled with some very recognizable stars! Oprah, David and Victoria Beckham, Amal and George Clooney, Serena Williams and her hubby, Priyanka Chopra, and so many more. Remember, Meghan Markle was a Hollywood actress before she became royalty, so it’s no surprise the new Duchess has such a refined list of famous friends! After the I Do’s and the carriage ride around Windsor to greet adoring on-lookers, Meghan and Prince Harry were wisked away to their reception, and of course – there was a wardrobe change! Meghan changed into a Stella McCartney high neck halter gown, once again fitted to the body and simply elegant. Prince Harry changed into a black tux with a bowtie, and looked incredibly handsome. As they arrived to their reception in a cute little electric sports car, Meghan was spotted wearing Princess Diana’s stunning and famous aquamarine ring, as the couple were sure to honor Harry’s mom on that day. The reception at St. George’s Hall was full of laughs and love, most memorably because of Prince Charles’ sweet speech praising his son and new daughter-in-law, and Prince Harry serenading his new wife with sweet words of adoration. They had Sir Elton John play some of his famous tunes, ate some delicious bites, and danced the night away! It was refreshing and wonderful to see a wedding built up on such a pedestal become a day where, beyond all the glitz and glamour of royalty, you just saw two people deeply in love happy to make a commitment to each other. Congrats to the new Duke and Duchess of Sussex! What was YOUR favorite part of the Royal Wedding? Stay tuned to all the celebrity and royal tea by following us on Facebook, Twitter, and Pinterest.